We’ll find you the job you love. Want to know how? Sign up with your e-mail and let us boost your career. 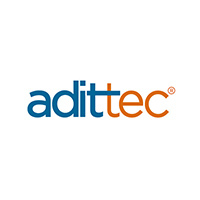 Adittec is a Recruitment Agency specialized in connecting talented IT, Technical and Life Science professionals with the best Tech Companies across Europe. Create your personal profile or import it from your LinkedIn account and show us your full potential. Find a job that you like from our job list or sit back and let us choose the right opportunities for you. Accept the best offer from a great company and get a hiring bonus.